On Friday I attended another meeting of the Transition Town group in the West End. This was an update meeting. You can find out more about the group by visiting their blog. This is an excellent group of people who live and work in the West End and who are trying to deal with some of the issues around the environment. I was interested to see that pressure from my colleagues Kevin Keenan and Jim McGovern and the trade unions has led the SNP Administration on the City Council to withdraw the threat of compulsory redundancies to council employees. You can read a report on this from tonight's Evening Telegraph. As a member of the council I am concerned that these discussions are taking place. I hope that there will soon be an open and transparent discussion on these issues at a City Council meeting. This evening I attended a meeting of the Board of Dundee Rep . I am always interested in the excellent work that goes on at the Rep. This evening we heard about exciting plans for the autumn season which will be very exciting. 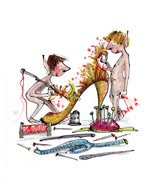 The Elves and the Shoemaker is now on at Rep click on the picture for more details. The Rep, Scottish Dance Theatre and Rep Creative Learning are excellent resources for people in Dundee and beyond and we should celebrate the great work which goes on at the Rep. I am supporting the campaign to have Robert Owen's image produced on a bank note. This would be a very interesting way of promoting the mutualisation of banks and the re-mutualisation of former building societies. You can sign the petition on this here. The year 2012 is the UNESCO year of co-operatives and I think it would be appropriate to have this marked on a banknote. Watch the video to find out just a little bit about Robert Owen and the Bank on Owen campaign. You can also read about the campaign from last Saturday's Herald. Tayside Fire and Rescue Board met this morning in Perth. The main item on the agenda was the repsonses to the Towards a Safer Tayside consultation. The Board meeting this morning decided to accept the document with the exception of references to Balmossie Fire Station and Forfar Fire Station. I welcome the result of the vote this morning, I was pleased to second the amendment by Ferry councillor Rod Wallace. I am pleased that the Fire and Rescue Board have listened to the many people who took the time to respond to the consultation. My vote today was all about my role as a member of the Fire and Rescue Board. The mention of extraneous issues, such as the forthcoming General Election, is a distraction. The Fire and Rescue Board consulted, people responded and we took a decision. That decision has been made, it is in many respects the same decision as last year, the decision must now be respected. We should move on and deliver Fire and Rescue services to the people of Tayside. When I lost the vote about including the Balmossie issue in this year's consultation back in November 2009, I stated that people should take part in the consultation and that I was unclear what had changed since March 2009. I am pleased to say that people did take part in the consultation and I am still unclear what, if anything, has changed since we last made this decision in March 2009. Please find below a copy of my speech seconding Bailie Rod Wallace's amendment at this morning's meeting of Tayside Fire and Rescue Board. I have had many concerns about these proposals. I will deal with my concerns later, but firstly I want to deal with issues about process. In March 2009 this board made a decision about the Towards a Safer Tayside consultation. That decision was made in part in response to the views of the public which were expressed at that time. I am unclear what has changed since then. I will deal with the economic issues we face later. We hold a public consultation and that is to the credit of this board and I would wish to put on record my thanks and appreciation of the work of all staff of Tayside Fire and Rescue who have facilitated this consultation. Last year’s consultation was record-breaking; this year’s breaks that record. We know that public bodies are held in contempt by many members of the public, I think if we blithely reject the views of the public we risk that contempt. We cannot justify holding a public consultation and then say that we don’t recognize the responses that we have received. We have received a phenomenal response to the consultation. I know that many people will point out that some 5000 of these are standard letters. As a politician, councillor and a campaigner I have often signed standard letters. The standard nature of these letters should cause us to weigh their value. However, I would point out to the elected members of this board that reading and signing these letters (even queuing up to do so) would take at least the same, if not more, effort than it takes to vote in a council election, even after STV-PR. When the consultation document was voted on in November I was disappointed by the outcome but I urged people to take part in the consultation. I also stated that I would be interested in what had changed since last year’s consultation. Frankly I am not sure that anything has changed. The response, if anything, is stronger. The case for downgrading Balmossie has not been made. 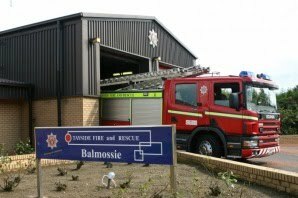 Local people remain concerned that changes at Balmossie will not improve their safety. We have been reassured throughout this process that these proposals ‘will cost no more money and importantly no less money’ (page 6) therefore at this time we cannot consider issues around the current difficult financial climate. Despite some mentions of it there is no paper in front of us which mentions financial cuts. I am forced to the conclusion that the case has still not been made. I would reiterate to members that if we hold a public consultation we have a duty to take seriously the responses we receive. We cannot pick and choose the responses which we give weight to. The people of Tayside must have confidence in us as their Fire and Rescue Board that we hold consultations and listen to answers we receive.